HM's history and achievements : -founder : Eric Lee , Eldon Chuo , and Lim jih Rong. -started at year end of 2005 as Kuching Shuffle Team [ KST ] -due to certain problems , name of the team have to be change. 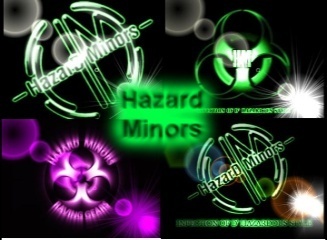 -6th March 2006 , Hazard Minors was established. 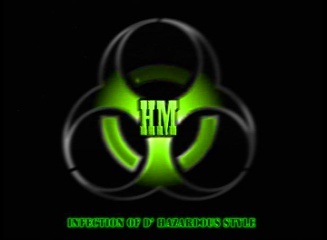 -merged with Nightkids [ sibu ] , ConneXion [ miri ] as Phenomenal Xpedition Society [ PXS ] at 15/12/06. -we organized lots of events and even performed at few places such as LE-rendevous [ Travillion ],DIGI street show ,MCA , Balcony [ miri ] and we even send in few of our shufflers for competition in miri [up2u pub ] -one of our founder [Eric lee] won 2nd placing in the championship. -went for few outstation events such as SpeedZone by Dj Yoji Biomehanika [KL] , and etc. well, we will come out with more and more events to make kuching a better place to rave!! so get ready RAVERS! we'Re cominG!! !